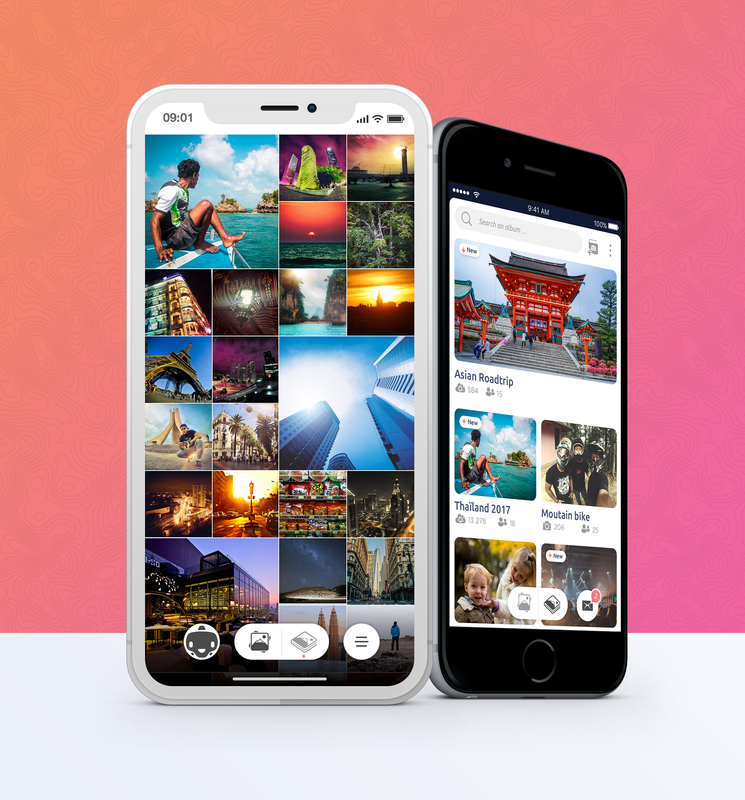 Meet Zyl, a smart photo app to view, manage and share all your photos. Formerly called Comet, the French startup is now using deep learning to go beyond the endless grid of photos and replace the default Photos app on your phone. While Zyl started as an app to create collaborative photo albums, the app has expanded beyond this simple social feature to take care of everything you’d do after capturing photos. It is now a well-designed app with many nice little touches that could become the power user version of the Photos app. “We really wanted to focus on memories — we’re building an artificial intelligence app to manage your memories,” co-founder and CEO Mathieu Spiry told me. When you first open the app, you can instantly view all your last photos. By default, everything stays on your phone and the company focuses on privacy — this is a great selling point against photo apps from Google and Facebook. You know that your photos aren’t used to learn more about you and improve ad targeting. Zyl uses the same photo database as the native one on your iPhone or Android phone so it doesn’t eat up more storage. In fact, Zyl can help you save a ton of space by detecting duplicates and helping you keep the best versions. The app looks at timestamps, rejects blurry photos and compares contrast. Eventually, you could imagine having an algorithm that rejects photos with closed eyes too. Zyl can also help you create photo albums. “We calculate how many photos you usually take every day, and we detect unusual days with more photos,” co-founder and CTO Aurélien Sibiril told me. And this is just the beginning as the company is currently working hard on building a great search feature and surfacing old photos filled with happy memories. Eventually, Zyl could become a smarter Timehop, a good way to look back and remember your best photos from years ago. In addition to the consumer app, Zyl is also working with companies to help them share old photos from team building events. This could be a good way to improve a company’s culture. Zyl is also working with event organizers so that staff members can share photos and create galleries while the event is still going on. Managing photos is hard, that’s why Zyl can help you spend less time digging around WhatsApp groups. All the AI-powered algorithms run on your phone. Zyl doesn’t need to upload your photos to organize them. The only exception is if you want to share an album with someone else. The app is going to upload photos so that other users can see them and add new photos to your album. There are currently tens of thousands of users opening the app every month. And shared albums are a good referral tool as a quarter of new users download the app after getting an invitation to join a shared album. The company raised $1.2 million earlier this year (€1 million) and now has 16 people. Many startups have tried to replace the default app on your phone. But the Photos app haven’t changed much in the past few years. Zyl could be a much needed improvement on the Photos app.